This product has been discontinued by the manufacturer on Jun 27, 2017. 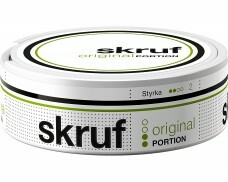 Being founded in 2002, Skruf is a new player in the snus market. 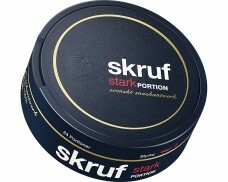 While approaching 20 years is a long time in many industries, many snus brands have been around since the 19th century. That’s why Skruf is considered a young snus manufacturer. Second: The taste. 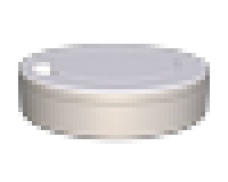 Older brands often highlight robust tobacco flavors, which creates the typical flavor of an old-school snus. Instead, Skruf offers a variety of different flavors and even its tobacco-centered portions are balanced with exquisite oils. 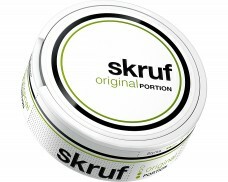 The founder’s effort to create something uniuqe paid off: Their snus has quickly become known as a high-quality snus. Even an organic snus line has been released in an effort to help the tobacco’s origin countries flourish. 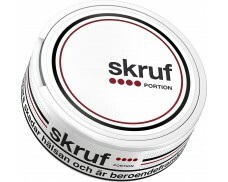 After cementing a reputation quickly, Skruf is now known for offering some of the highest-quality snus available. And while the company’s reputation grew, so did its portfolio. Today, Skruf is available in a wide range of flavors and formats. 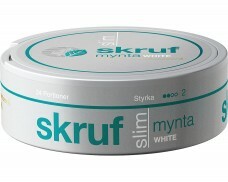 While a rose-oil enhanced Original Portion is part of their offering, Skruf also sells mint- and cranberry-flavored snus as well as White Portion Snus and Slim Portion Snus in different strengths. With an innovative company like Skruf, nothing is ever certain. 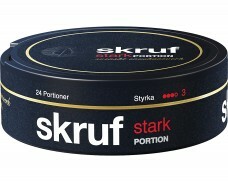 As the past has shown, Skruf doesn’t shy away from experimentation and regularly releases new flavors and snus variations which are interesting and new. 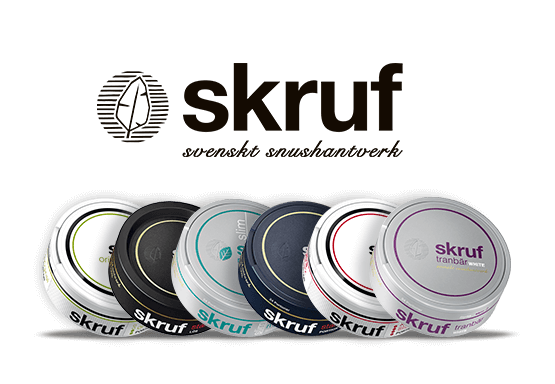 Whatever happens in the future: For now, Skruf offers a variety of high-quality snus and will remain immensely popular as long as they keep it that way. 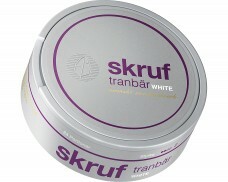 All those who enjoy high-quality snus and like to indulge in rich flavors should try a can of Skruf!